Keena’s Inc. are Collision and Insurance Claim Specialists. With over 35 years in the trade, we can repair any vehicle foreign or domestic and process any claim from any insurance company. Our 11,000 square foot facility is outfitted with all the high tech equipment needed to repair today’s high tech vehicles. All body repairs are with qualified techs using state of the art equipment to repair your vehicle back to pre-loss condition. We apply use of mig and/or tig welding when reconstructing structural components, it is essential for strength and structural integrity when installing new components. Auto Body Repair, Paint less Dent Repair (PDR), Automotive Painting, Frame Straightening, Bumper / Fender Repair,	Auto Glass / Windshield Repair, Sheet metal Straightening and alignment, Suspension repair and replacement. Keena’s Collision is an approved repair facility for many auto insurers. We offer timely collision auto body repairs and paint to help get you back on the road. As an approved body shop, we are proud to offer quality workmanship that comes with a lifetime guarantee for as long as you own your vehicle. Keena’s Collision welcomes insurance claims for all types of collision and auto refinishing repair work. We'll process your insurance claim in-house. In addition; we'll help arrange alternate transportation while your vehicle is undergoing repairs. 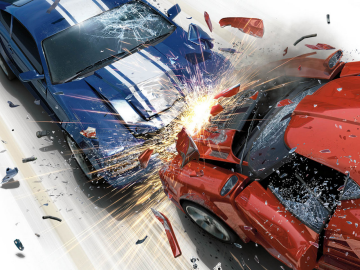 Why Bring Your Insurance Claim To Keena’s Collision? We take the hassle out of the insurance claim accident process. Recognized by Major Insurance Companies, Onsite Insurance Claim Processing, Direct Billing, Deductible savings, Quality Workmanship with a Lifetime Guarantee. Keena’s Collision provides hassle-free collision auto body repair services to get you back on the road. Bring your auto insurance claim to Keena’s Collision to take advantage of our onsite insurance claim processing, Keena's Collision is recognized by major insurance companies and offers quality and a lifetime guarantee on all auto body repairs and windshield auto glass services. Contact us today to find out how easy your insurance repair work can be! 1. We at Keena’s Inc. would like you to have the best possible repair job. To accomplish this we would like you to know the repairs that have been performed by Keena’s Inc., as listed on the attached repair estimate, are guaranteed for as long as you own your car. Other items on the estimate such as Parts, Materials and Sublet Labor are subject to the guarantee of those suppliers or your insurance company. 2. Parts or materials used will be as itemized and will be subject to the guarantee of that suppliers. We can assist you in handling any claim under the supplier's guarantee. Used parts will not be utilized unless specifically authorized. All paint repairs by Keena’s Inc. will be warranted for life, as long as you own your vehicle. 3. Rust repairs and stone chips are not covered by this or any other guarantee. 4. Any failure due to lack of maintenance, additional accident, theft, or vandalism damage, or from normal wear and tear, are excluded from this guarantee. 5. This document, which in nontransferable, is a complete and exclusive statement between customer and repairer, and contains all the representations of the parties. This guarantee shall not be varied, supplemented, qualified, or interpreted by any prior course of dealing between parties or by any usage of trade. 6. This guarantee will only be honored at Keena’s Inc.
We have a computer estimating program with a database of virtually all makes and models, foreign or domestic with operation times and parts costs. So come on in or go to our "Online Web Estimating" for your “FREE” estimate of repairs.